Chase Culpepper, a 16-year-old resident of South Carolina, was allegedly told by the DMV that he had to remove his makeup to take a driver's license photo. 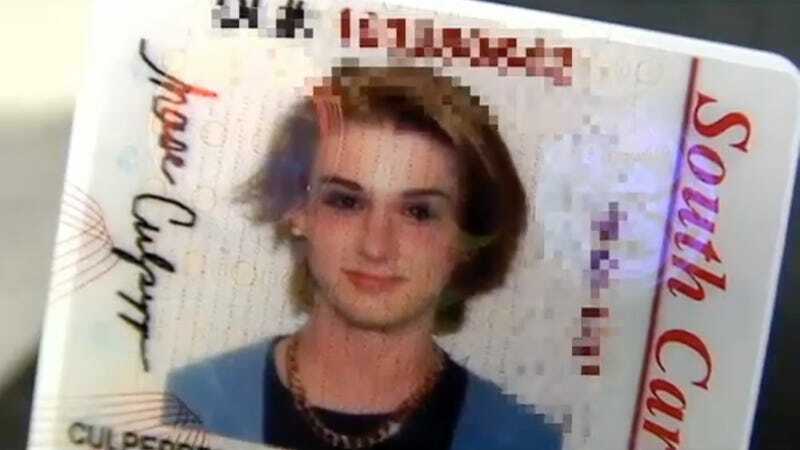 Because, according to a DMV employee, Chase (who considers himself "gender non-conforming" and reportedly prefers male pronouns) didn't look "like a boy should." The clerk also told Chase that he wasn't allowed to wear "a disguise." Workers accused him of not looking the way "a boy should" and refused to take his picture while he was wearing makeup, according to the Transgender Legal Defense & Education Fund, or TLDEF. "The government should not be in the business of telling men and women how we are supposed to look as men and women," Michael Silverman, executive director of TLDEF, told the Daily News. ...TLDEF says the DMV stifled the teen boy's freedom of gender expression, deliberately suppressing the more feminine and androgynous aspects of his personality. "We want chase to be able to go back to the DMV in Anderson, his hometown, and have his photo taken the way he looks every day with makeup on," Silverman said. Get it together, everyone on earth. I hope you look like a goddamn star in your next DMV photo, Chase.